This beautiful, unforgettable story will break your heart and then leave you awed by the human capacity for kindness. Jessica Yu’s compelling writing and her filmmaker’s eye paints a vivid picture of urban Kampala and allows us to walk in Gladys’s shoes, celebrate her every minor victory, and mourn with her when she loses. Garden of the Lost and Abandoned renews my faith in humanity. Why should we care about the children of strangers? That’s the question that Gladys Kalibbala answers so movingly in Jessica Yu’s warm and uplifting portrait. In chronicling Kalibbala’s mission to save abandoned children, Yu reminds us that it’s possible to make the world a better place, one child at a time. 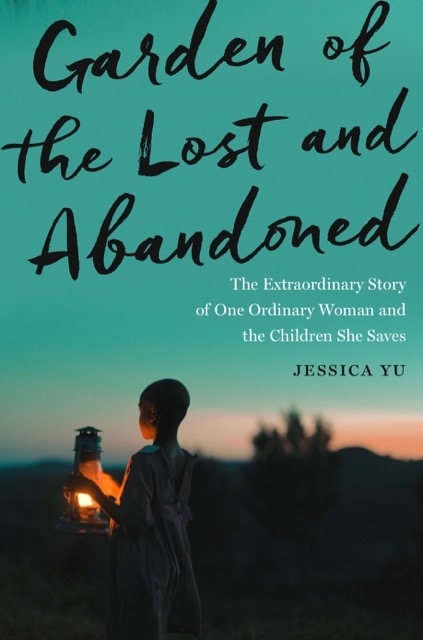 An APPLE iBOOKS FAVORITES pick for November: "A gripping portrait of one woman who refuses to be a mere witness, and a moving account of the lost and abandoned young people who are given new hope." Can sheer goodness matter, let alone be thrilling to contemplate? Well, in Yu’s brimming account of her protagonist Gladys’s glorious example, we get to watch as a garden of the lost and the abandoned opens out inexorably (and yes, thrillingly) into a home for the found and the redeemed. Author photo by Braden Moran. All other photos by Jessica Yu.